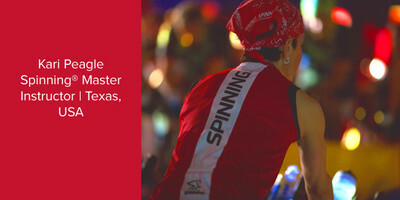 A Master Instructor for the Spinning® program, Kari has a B.S. degree in Pharmacy. She has been teaching as a fitness instructor for over a decade and she holds both personal training and instructor certifications with ACE and AFAA. Currently a coordinator and instructor for the Spinning program at World Gym, she is a personal trainer and pharmacist in Austin, Texas.